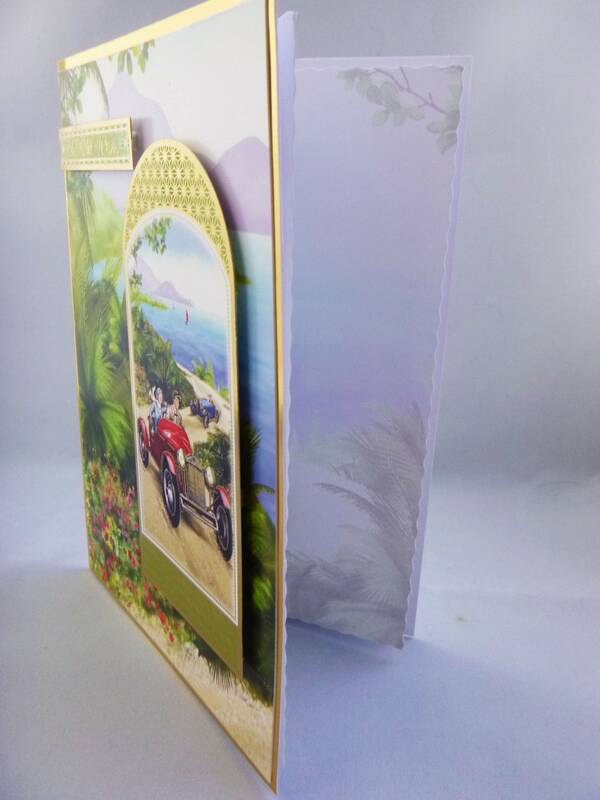 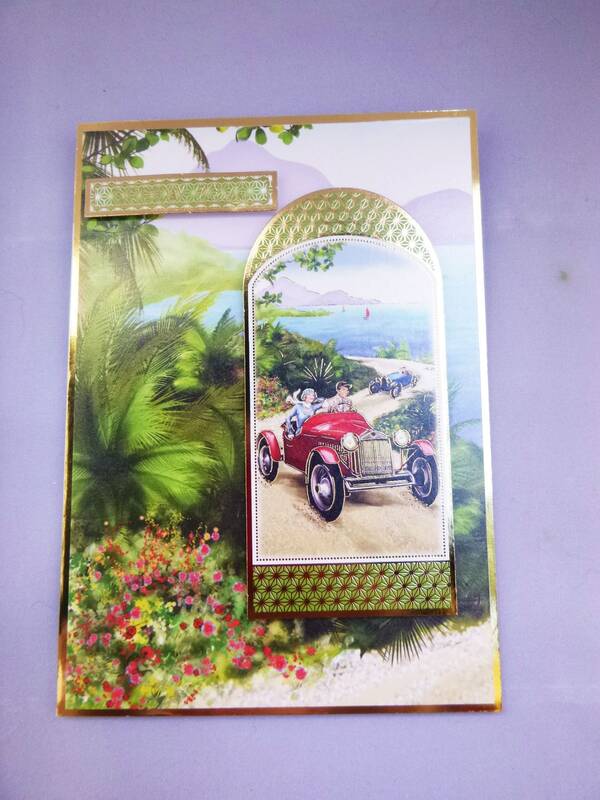 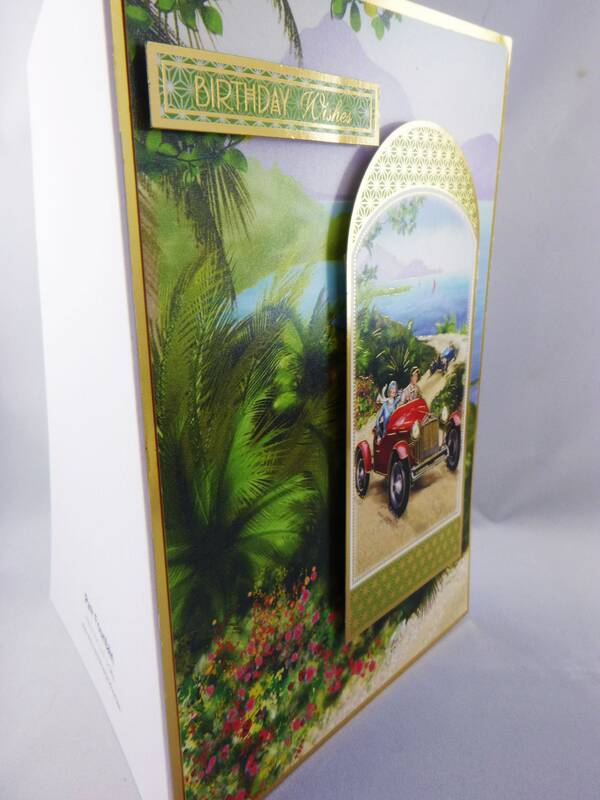 Art Deco design card, made from white base card, layered with gold card and patterned card, with a large topper of a scenic road. 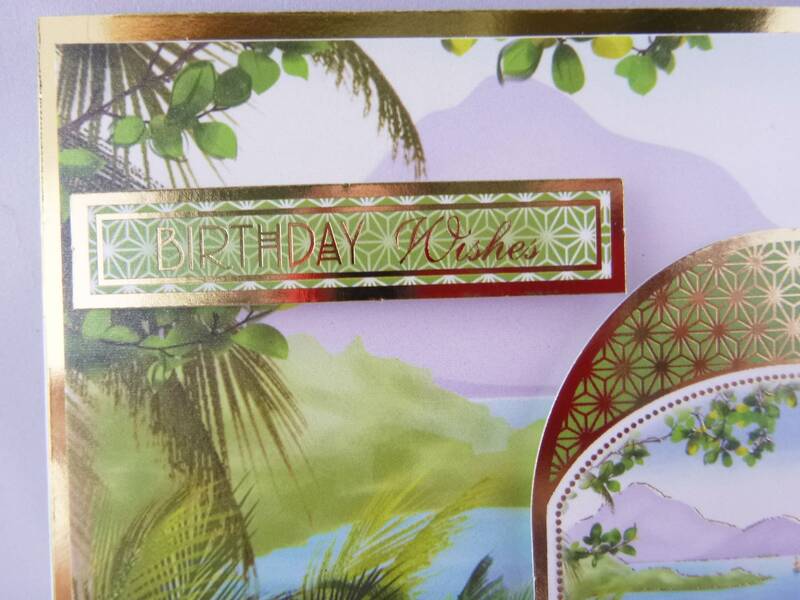 In the top left hand corner is a sentiment which says, ' Birthday Wishes'. 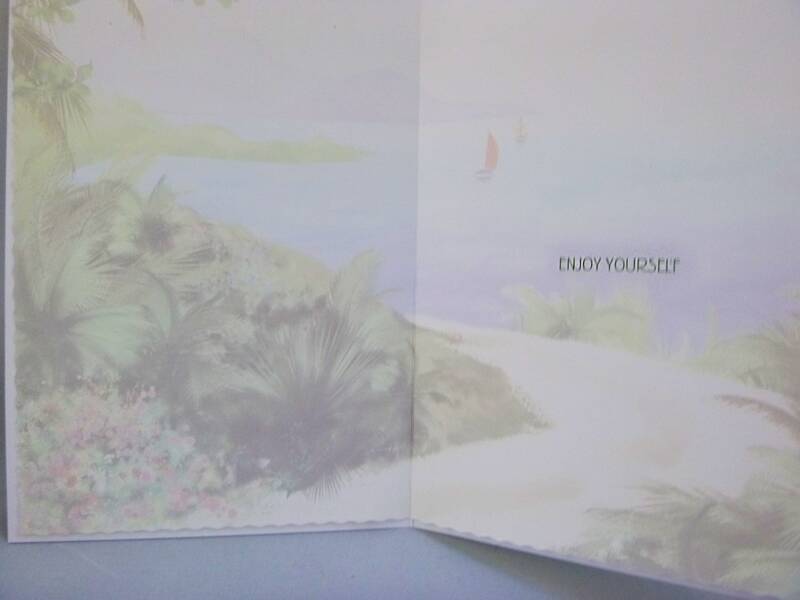 Inside the card is a matching insert paper with the words ' Enjoy Yourself'. 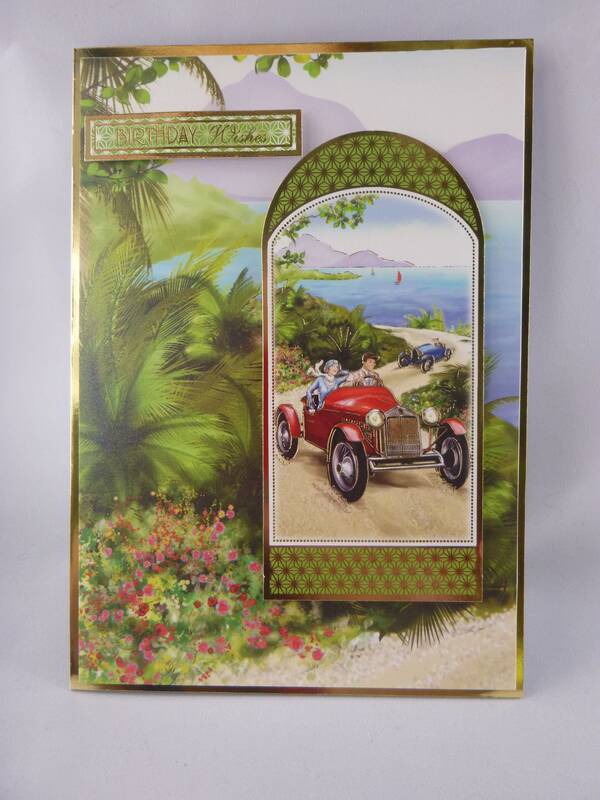 This is a great design to give to anyone for birthday. 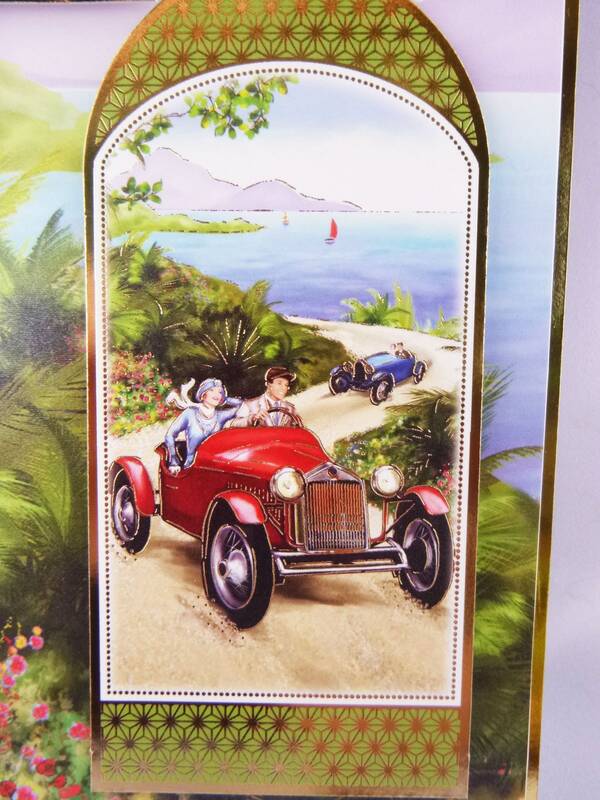 I bought it to give to my niece's fiancé and I'm sure he'll love. 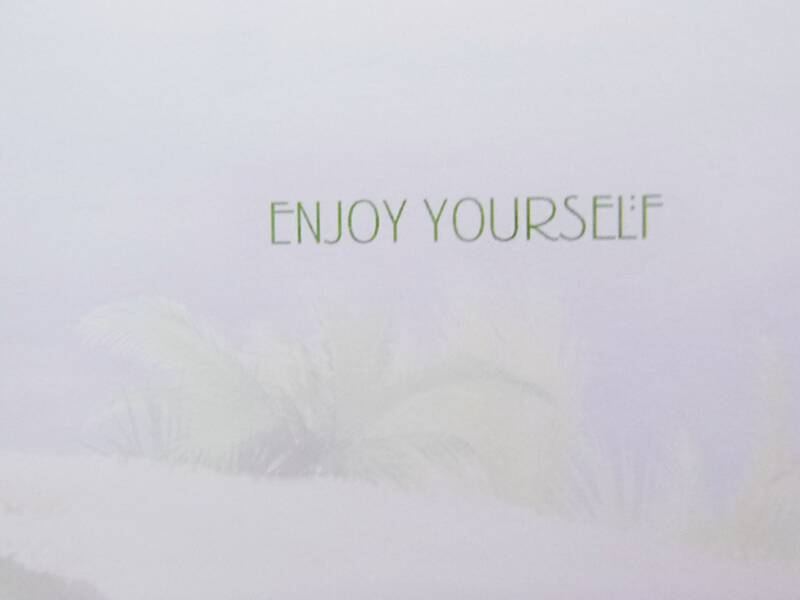 Packaged securely and shipped promptly.